The 16V149 Natural Detroit Diesel engine is one of the most popular engines in the Detroit Diesel engines line. It operates off of what is known as naturally aspirated engine power. This basically means that the engine acquires its power through mixing fuel with air combustion that is created by atmospheric pressure and a partial vacuum system within the engine. 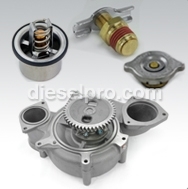 In order for this combustion to be created properly, all the parts of your diesel engine must be working properly. If some parts are malfunctioning, then the entire internal combustion system can shut off, resulting in less fuel efficiency and engine power. 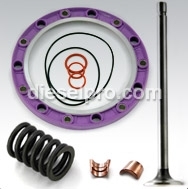 Here at Diesel Pro Power, we carry all the Detroit Diesel replacement parts in our online inventory that you need to get your 16V149 engine back up and running properly. 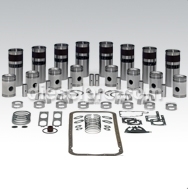 Our 16V149 Natural Detroit Diesel parts are specially designed to work specifically with this engine and are the best parts to help your engine run smoothly and efficiently. Sometimes, in order to cut costs, mechanics, owners and operators of diesel engines will try using another model of part because it's cheaper or they already have it on hand. However, even if the part might initially fit and seem to work, it could be doing much internal damage to your system that could end up costing you so much more to fix in the long run. Shop online with us today. We offer you international shipping, and all orders that you place will be shipped within 24 hours of their placement. 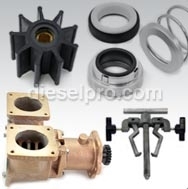 We are dedicated to providing you with high quality diesel products that you can count on. Contact us with any questions or concerns that you may have. We're always looking for more ways to serve you.